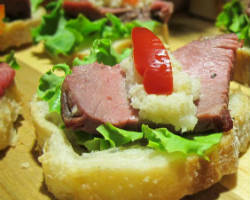 If you are looking to support local caterers and local produce, Alan’s Catered Events is the perfect way to do both. Alan and his wife Betsy have developed this catering service from their love of growing the freshest produce and cooking from scratch. With their own farm as the source of their ingredients, this couple guides the food from seed to stomach in the most delightful dishes. This couple is committed to serving the food that you want to eat on your big day. As you can tell from the name, Chef Mike’s Charcoal Grill specializes in BBQ, but that is not where their talents end. They can cook you and your guests classic hors d’oeuvres, a BBQ feast, to die for desserts, and a hearty breakfast the next morning. 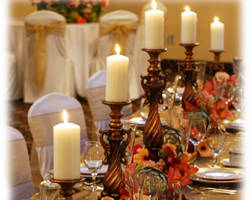 Imagine the highest quality service combined with the delicious cooking of an experienced caterer. By having Chef Mike and his team prepare and serve the food for your wedding, you will get professionalism and tasty food and for an affordable price. The Food Guys Catering Co. does everything you would want your catering company to do. 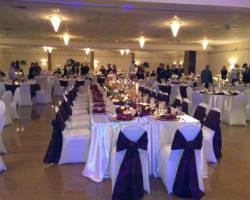 They offer catering of any style, and at affordable prices. Whether you are having a small lunch style gathering after you tie the knot or are having an extravagant full service dinner, this company can help your food dreams come true. There are a variety of wedding packages to choose from or you can customize your own to include your favorite dishes as a couple. Choosing the Food Guys will leave you and your guests full and happy. When asked what their favorite food is, the majority of people are either at a loss because there is so much to choose from or they choose pizza. Puccini’s Smiling Teeth is an Italian catering service that offers the pizzas and pastas that you love. 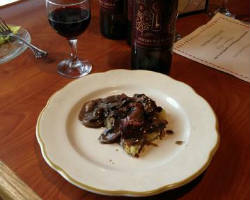 With a variety of options, you can have an Italian style dinner with choices for everyone. What’s special about this company in particular is that they have all of your favorites; made gluten free- what could be better? Weddings are stressful, but the catering doesn’t have to be. Side Street Catering wants to eliminate the stress of planning a big event like a wedding. You shouldn’t be worrying about the food on your big day you should be enjoying it. This company offers a variety of menu options but also offers the classic ‘salad, meat, and vegetable’ combination so you know that your guests are getting a balanced and lovely meal. 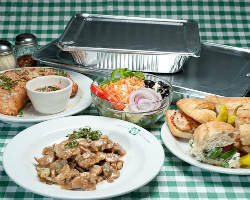 Let Side Street Catering take care of you and take care of the food so you don’t have to worry. 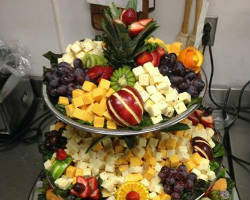 Making every occasion special is what Primo Catering do best. They will feed your guests and also have a venue available if you would like them to play host to your event as well. Their menu will leave you with countless options to choose from to make sure the food at your wedding matches the style of the entire day. If you want guaranteed quality service and an unbeatably mouth-watering meal, Primo Catering is the one of the top Indianapolis catering services. If you are looking to have an elegant dinner to end your big day, Crystal Catering is one of the best formal catering services in Indiana. Catering to each client with care, this company aims to meet your every wish to make sure your wedding day goes off without a hitch. It is apparent looking at the feedback from their previous clients that this company is truly focused on the customer. 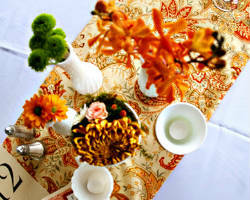 With a menu full of extravagant dinner options, you will be treating your guests to an amazing meal. If you and your partner are meat lovers, there is no better caterer than Judge’s Tip of the Rib BBQ to make you all of your favorite meaty dishes. Pulled pork, wings, sausages, and brisket galore! 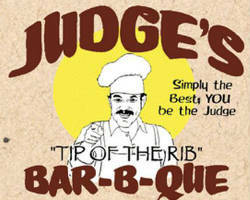 Choose from a variety of Judge’s home cooked menu options to fill you up after a long and exciting day. Judge’s can accommodate you by preparing some of your favorites whether that is BBQ, crawfish or maybe a classic macaroni and cheese. Catering in Indianapolis, IN has never been cheaper or more delicious.